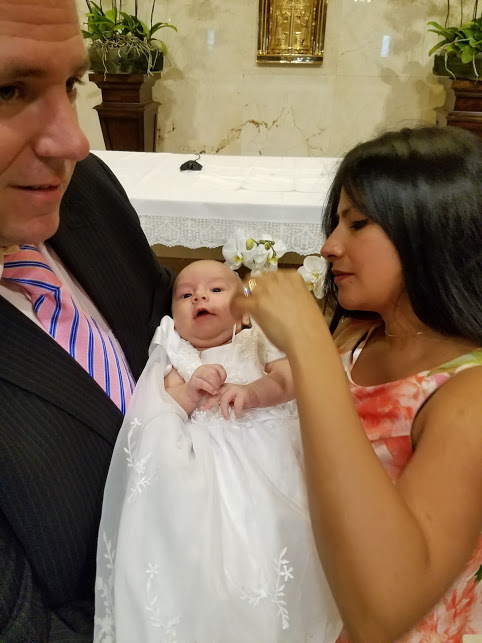 We just spent 25 days in Miami Beach celebrating our granddaughter’s Christening. She was so good and didn’t cry when Father poured the water on her head. Her parents were so proud. We then had a lovely dinner at Smith & Wollenskies. Samantha and Stephen were there as she is the godmother, and Karina’s mother and cousin and family were there too. Bud had a few friends there from work, It was such a lovely day. I have fallen behind in my reading challenge this month. I guess playing with the baby took up most of my time. She is so sweet. Anyway, I have finished one book and will post my review.